From its very inception, the vision for the Microsystems Technology Laboratories was to carry out its mission in close partnership with the industry that employs its graduates and brings the fruits of its research to the world. The Microsystems Industrial Group (MIG), established in the early 80s, has proven to be an effective platform for engagement of industry with the MTL community. Through the MIG, MTL benefits from financial support as well as the unique advice and mentorship on critical research directions and relevant problems that only industry can provide. Also through the MIG, industry partners gain preferential and early access to MTL's research, educational programs and start-ups and in this way connect with and shape cutting edge research on topics of strategic relevance to their future. These goals are accomplished through a series of programs and activities that are described here. 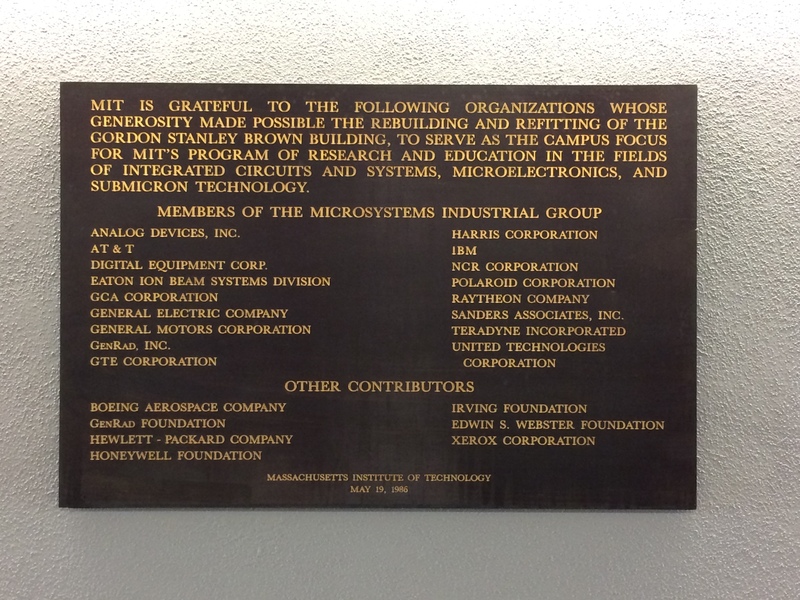 Above: Plaque commemorating the establishment of MTL and honoring the founding companies of the Microsystems Industrial Group.